Phoenix Racing announced today that Justin Allgaier will be the driver of the No. 51 BRANDT Chevrolet SS during the 2014 NASCAR Sprint Cup Series season. Allgaier, who finished fifth in the 2013 NASCAR Nationwide Series championship points, will be a candidate for the NASCAR Rookie of the Year award. "This is an opportunity of a lifetime and I intend to make the most of it," said Allgaier. "I am very grateful to Harry Scott and BRANDT for having faith in me to compete against the best drivers in the world." "Justin has worked extremely hard to get to this level and he is ready to take the next step," said team owner Harry Scott Jr. "Working with competition director and crew chief Steve Addington, I think the No. 51 can turn some heads this year." BRANDT will be the primary sponsor for the No. 51 for 21 races during the 2014 season. The agriculture retailer and manufacturer of agricultural specialty products has been active in NASCAR since 2011 and sponsored the No. 51 for four races in 2013. "The entire BRANDT team is excited about moving to the next level," explained Rick Brandt, company president and CEO. "We looked long and hard at this opportunity and ultimately we decided that we needed the broader footprint that the NASCAR Sprint Cup Series affords us to drive our business forward. This is about taking our brand to the millions of fans who watch the NASCAR Sprint Cup Series." Joining BRANDT on the car are The National FFA, TradeMark Nitrogen, Nutrients for Life Foundation, Precision Tank and Grigg Brothers. Together, these partners are supporting the only true ag-focused car in the NASCAR Sprint Cup Series. "We are proud to help field the 'Ag' car," said Brandt. "This is an effort to raise awareness and build a positive reputation for agriculture of all kinds. We believe passionately that agriculture is the essential industry and we're doing our part to get that message out." "I could not be more proud to represent BRANDT, a leading company that's headquartered about 13 miles from where I grew up, as we make the leap to the NASCAR Sprint Cup Series," said Allgaier. 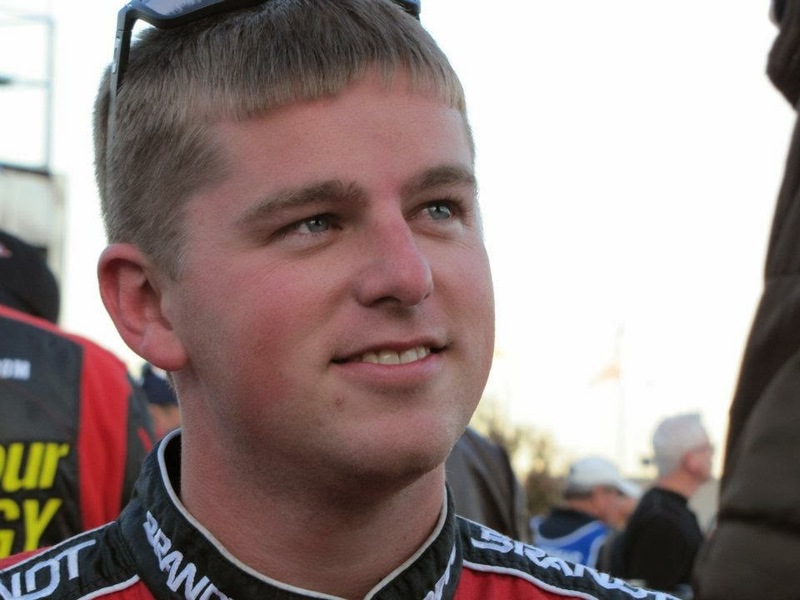 Allgaier, 27, joins Bobby Labonte as teammates at Phoenix Racing. Labonte will drive the No. 52 for several races in 2014, including the season-opening Daytona 500. Labonte has won 21 NASCAR Sprint Cup Series races in his 22-year career and won the series championship in 2000. Phoenix Racing, which was established in 1989, is owned and operated by Harry Scott Jr. and competes in the NASCAR Sprint Cup Series. Scott purchased the team from long-time owner James Finch in September 2013. His vision is to build a championship contender in due time by developing talented young drivers, partnering with dedicated sponsors and competing hard every week.